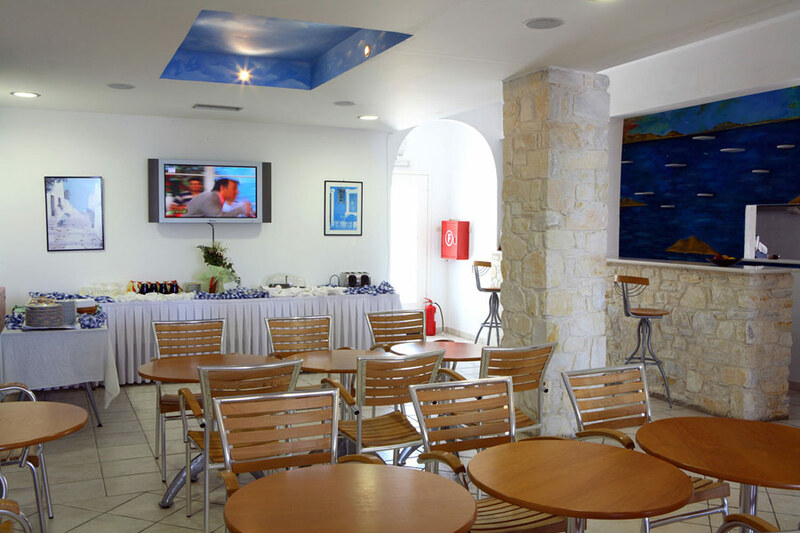 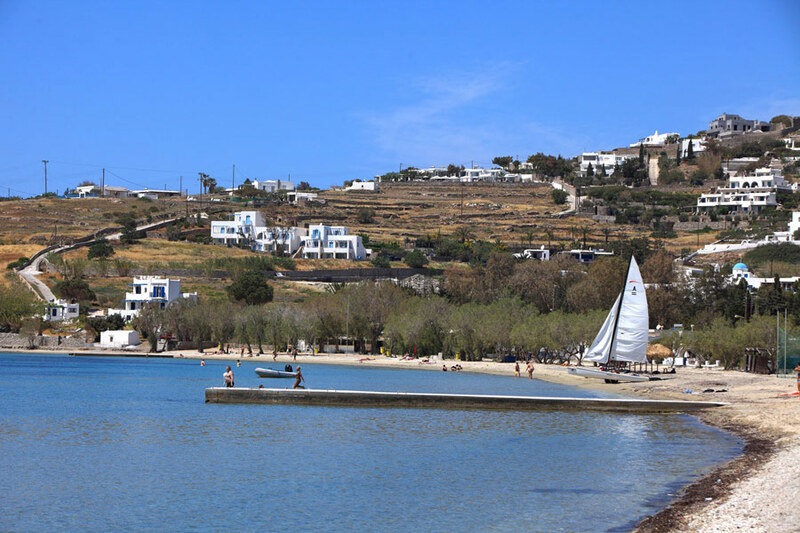 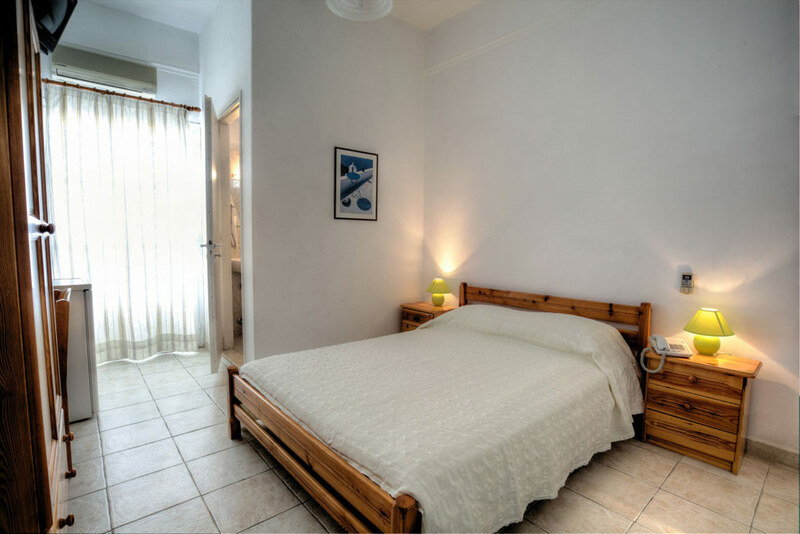 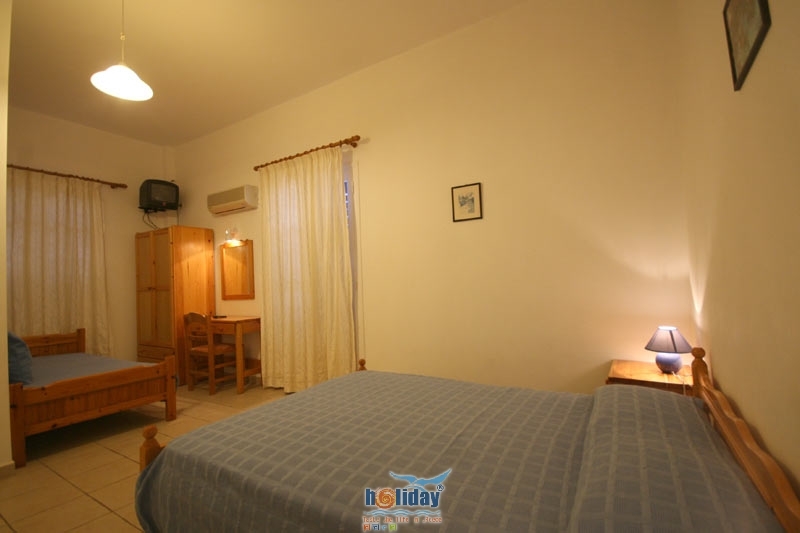 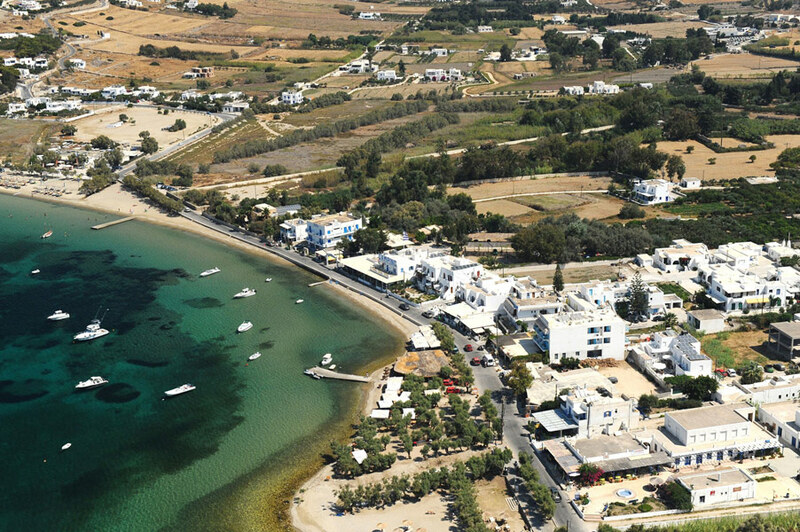 Situated right on the sandy beach of Livadia a 10-minute walk from the town centre, the Alkion Hotel is a pretty and cosy place offering value-for-money accommodation. 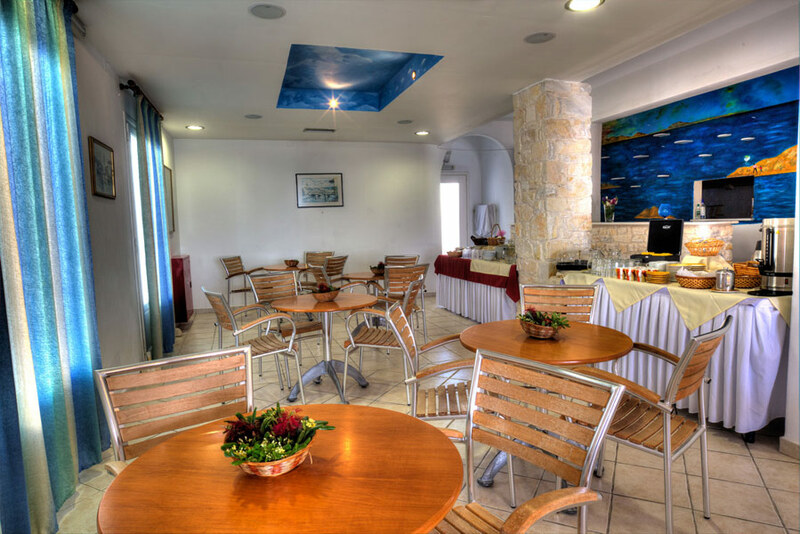 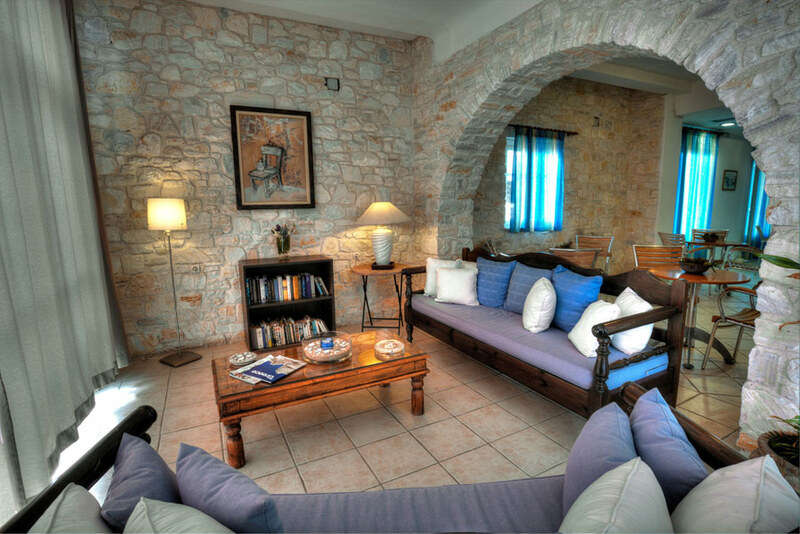 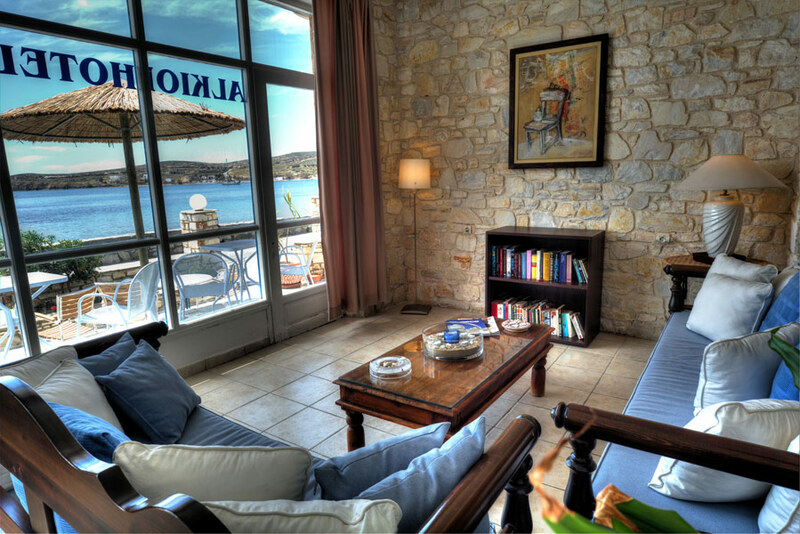 At the Alkion Hotel you can fully relax in the calm and quiet surroundings. 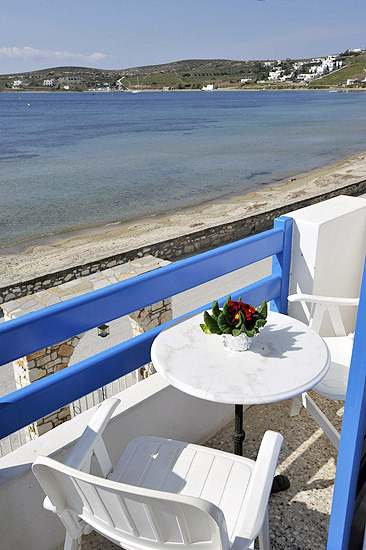 Enjoy the view and sounds of the sea every morning while having your breakfast on the terrace. 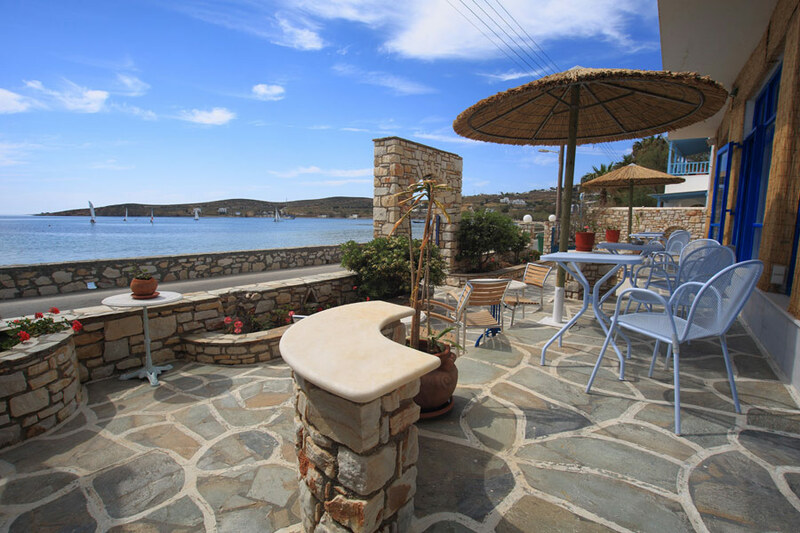 In the evening, you can spend romantic moments admiring the sunset from your balcony or having a drink on the terrace of the hotel. 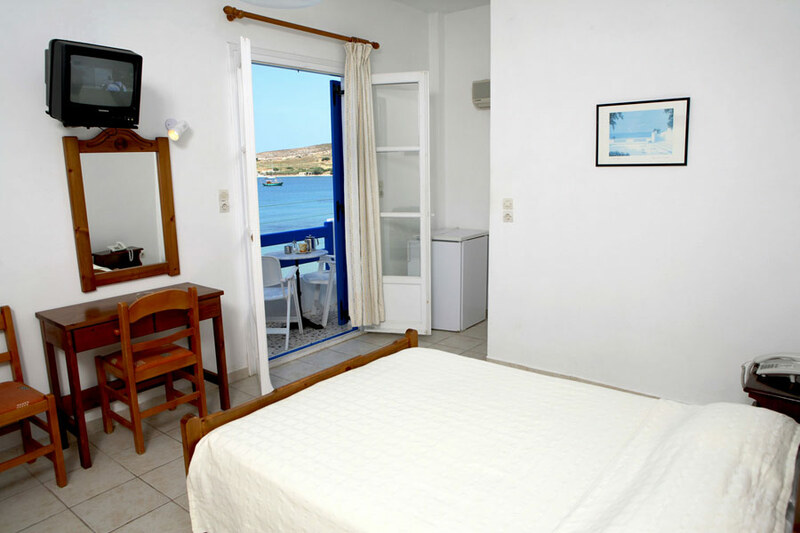 Guests have free access to the internet, and the hotel offers free port transfers upon arrangement, only for visitors of this website.